Snoop Dogg to Tour with Charlie Sheen? *No one knows (and most don’t care) just what Charlie Sheen will be doing on his My Violent Torpedo of Truth/Death is Not an Option Tour, which is now only days away. But according to a picture he tweeted over the weekend, Snoop Dogg has somehow become involved. 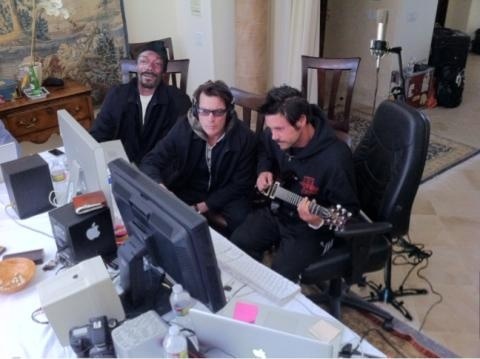 The photo shows Sheen with the rap star and the tour’s music director Robert Patterson (also the former guitarist for Korn) in front of several computer screens. Snoop’s reps have yet to comment on the picture or what the two have in the works.